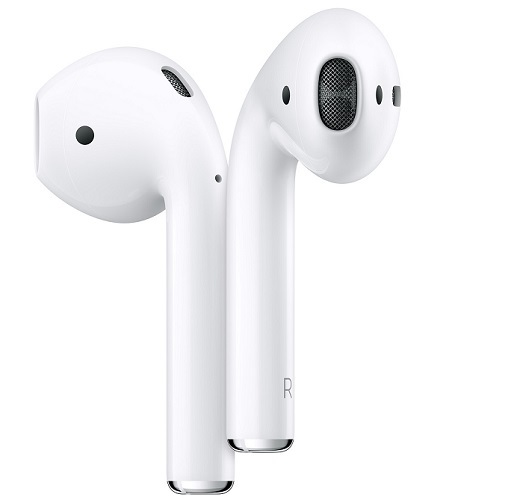 Powered by the all-new Apple H1 headphone chip, AirPods use optical sensors and motion accelerometers to detect when they’re in your ears. Whether you’re using both AirPods and just one, the H1 chip automatically routes the audio and engages the microphone. And when you’re on a call or talking to Siri, an additional speech-detecting accelerometer works with beamforming microphones to filter out external noise and focus on the sound of your voice.